Is CBD illegal under the new DEA “marihuana extract” rule? A legal analysis. Everything old is new again. The Drug Enforcement Administration (“DEA”) has overstepped its rulemaking authority in almost exactly the same way that it did 13 years ago. The 9th Circuit Court of Appeals shot down the DEA then. Unfortunately, the DEA doesn’t seem to learn, at least when it comes to cannabis. But, I’m getting ahead of myself. Importantly, and to the point of this blog post, the Rule defines “marijuana extract” (although the DEA uses this antiquated spelling I’ll use the current spelling, “marijuana”) as “an extract containing one or more cannabinoids that has been derived from any plant of the genus Cannabis, other than the separated resin (whether crude or purified) obtained from the plant.” With respect to CBD, is specifically states that CBD “fall[s] within the new drug code.” In plain English, the DEA contends that CBD is an illegal substance and has enacted a Rule to govern it. What does it mean for businesses who currently sell legal CBD? That’s a tough question to answer. I’ll start by saying that the DEA has explicitly placed CBD squarely in its crosshairs. Not only does the Rule go to pains to define marijuana extract as an “extract” that “contains cannabinoids”, a category into which CBD unqualifiedly falls, it goes on to address CBD specifically in the Comments section of the Rule. I won’t mince words. The DEA clearly contends that CBD is a Schedule I drug (the most restrictive schedule) under the Controlled Substances Act (“CSA”), regardless of its source or whether it comes in isolate form or in combination with other cannabinoids. This is wrong and illegal. I don’t say this lightly, but it does require me to go into a somewhat detailed analysis, along with a little history. In order to understand any rule you must start with the language of the rule itself. In this case, the operative language that I want to focus on is the phrase “derived from any plant of the genus Cannabis.” The emphasis on the word “any” is mine and it is the crux of the DEA’s illegal and overreaching act. The Rule’s language purports to make illegal certain components (ie, CBD and other cannabinoids) of a plant that, at least under certain circumstances, are not illegal at all. Actually, it’s even more insidious than that. The DEA contends that it is merely amending a preexisting rule to separate into two categories items which were previously lumped together into one category for the purpose of allowing for “more appropriate accounting.” It says that marijuana extracts “remain in Schedule I.” (emphasis mine) But, that’s exactly the problem. Not all marijuana extracts are part of Schedule I or, indeed, any Schedule at all. To say that extracts from any cannabis plant “remain” in Schedule I is an intentional misrepresentation of the law and, more importantly, an unlawful expansion of the definition of marijuana under Schedule I. There are at least three scenarios in which “marijuana extracts” (as defined by the Rule) are wholly legal under Federal law. The first scenario is the one in which extracts are derived from the “mature stalk” of the cannabis plant. This is because the mature stalks of the marijuana plant are specifically exempt from the definition of marijuana under the CSA. The term marijuana “does not include the mature stalks of such plant, fiber produced from such stalks, oil or cake made from the seeds of such plant, any other compound, manufacture, salt, derivative, mixture, or preparation of such mature stalks (except the resin extracted therefrom), fiber, oil, or cake, or the sterilized seed of such plant which is incapable of germination.” 21 USC § 802(16) Clearly, any “marijuana extract” derived from the mature stalk is not included in Schedule I, notwithstanding the DEA’s sweeping language in the Rule. The DEA does not have the authority to make illegal that which Congress has expressly made legal. Before discussing the third scenario, I want to talk about the first two scenarios in a little more detail. In both of the above scenarios I said that the DEA lacks authority to make illegal that which Congress has expressly made legal. Let’s delve into that a little more. In the present case the Rule directly clashes with Federal statutes: the CSA in the first scenario and the Farm Bill in the second scenario. By attempting to extend the reach of CSA in scenario one and limit the reach of the Farm Bill in scenario 2 the DEA has exceeded its rulemaking authority. This is because the DEA is part of the executive branch of the Federal government, which is charged by Article II of the US Constitution with carrying out and enforcing Federal laws. Although it has the authority to enact rules to carry out its Constitutional obligations, the Executive Branch (which includes the Department of Justice (“DOJ”) and the DEA) does not have the authority to enact Federal statutes. If a rule promulgated by the Executive Branch clashes with a Congressionally enacted statute, including by extending its reach or by limiting its scope, the rule violates the Constitution. When a Congressional statute and an Executive Rule conflict the statute always wins. This is where the treaty language comes into play. Under certain circumstances the Executive Branch may enact laws. The DEA appears to be seeking cover under 21 CFR 1308.46, which allows the DEA to bypass normal rulemaking procedures. However, using this procedure, if that is what the DEA is attempting to do, essentially amounts to emergency rulemaking by the DEA that is an abuse of process. It is an attempt to circumvent both the Constitution and Congressional restrictions on its authority. This is, in fact, the basis of the third scenario in which marijuana extracts are explicitly legal, namely, when they are sourced from “non-psychoactive hemp” (commonly referred to nowadays as “industrial hemp.”) At the time Hemp Indus. was decided, it was illegal to grow hemp in the United States (“USA”). So, from a practical standpoint the Court’s ruling applied only to hemp that was imported from outside the USA. However, now that it is legal to cultivate hemp in the USA (at least in states that have enacted hemp laws), Hemp Indus. applies to domestically cultivated hemp and its products (such as extracts containing CBD) as well as imported hemp and its products. In other words, marijuana extracts from non-psychoactive (industrial) hemp containing only trace amounts (or less) of naturally occurring THC is wholly legal. The Hemp Indus. 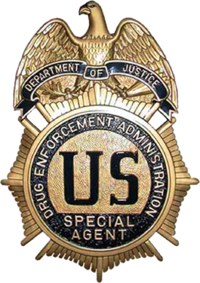 cases dealt with different DEA rules; however, they were strikingly similar to the Rule at issue today: The DEA enacted rules which unlawfully expanded the reach and scope of the CSA. And it did so by calling the rules “clarifications” of existing law in an attempt to conceal the fact that it was unconstitutionally usurping Congress’s legislative role. This is exactly what the DEA did today. Fortunately, based on the Hemp Indus. cases, the Rule- at least the part of it that applies to “any” marijuana extract- is void. So where does this leave us? My opinion is that the Rule is void. It clashes with existing Congressionally enacted Federal statutes. The DEA exceeded its Constitutional authority in enacting it. Additionally, even if it wasn’t void it is unenforceable, at least to the extent that it purports to make CBD which is sourced from lawfully cultivated industrial hemp illegal. Finally, assuming that the Rule is void, what do we do about it? In the Hemp Indus. cases the parties sued the DEA to have the rules declared void. In the McIntosh case the defendants asserted the Funding Act provision as a defense to prosecution. What strategy should you employ? If you are in the business of selling CBD and other marijuana extracts I would be happy to discuss this development and your legal options. Thanks! This is a rapidly evolving area and I intend to keep posting as we have new developments. Thanks. I appreciate you reading my blog. So, under your analysis, then only non-THC extracts derived from industrial hemp stalks would be legal? This seems like a sticky situation for the enforcement. Cops catch a consumer with a bottle of extract. Analysis proves it contains CBD. Now the defendant has to prove where it came from? The identical molecule extracted from even an industrial hemp flower would be illegal, but from its stalk, it’s legal? Now the question is how long Farm Bill and Rohrabacher Amendment survive under Trump, and how long it takes a GOP Congress to close hemp-CBD loopholes. When Congress passed that Farm Bill, I’m guessing many of its supporters were thinking “It’s rope not dope” and had no idea they were legalizing competition to GW Pharma’s Epidiolex. I’d love to book you for an interview with Cannabis Radio on this subject, BTW. Great job. Thanks for reading and commenting, Russ. First of all, I’d be happy to be interviewed about this subject on Cannabis Radio. Under my analysis only extracts from industrial hemp would are legal. CBD sourced from the flower is also legal if it is sourced from a “non-psychoactive hemp plant” (the term used by the Court in the Hemp Industries cases) from outside the USA or an “industrial hemp plant” from within the USA in a state that has enacted hemp laws that authorize it. As for your unlucky hypothetical defendant, it is true that the source of the CBD is critical to the defense of his case. Certainly, if the CBD is sourced from a marijuana plant (ie, a non-“hemp” THC bearing weed plant) then it is illegal. Even if it is sourced from a “hemp” plant in a state that doesn’t authorize it then it is illegal. However, if it sourced from an industrial hemp plant in a state that has enacted hemp laws per the 2014 Farm Bill then it is ok if it is from the flower so long as the state’s laws don’t prohibit extraction from the flower. Similarly, if it is sourced from the flower of a non-psychoactive hemp plant from abroad then it is also legal. Of course, this is all pure insanity on many levels. Health benefits, lack of harm, and massive public support aside, the scientific fact is that a CBD molecule is the same whether it’s sourced from the flower of a marijuana plant or the stalk of an industrial hemp plant. There’s no difference. The distinction in the law is mostly due to the way that it has evolved. It should be cleaned up. Finally, I fully agree with you that Congress was definitely thinking “rope not dope” when it passed the Farm Bill. I wouldn’t be surprised to learn that GW Pharma’s lobbyists are working hard on rolling things back. 2017 will be an interesting year for the cannabis industry as a whole. This fight over CBD is one of many fronts we can expect to face. I look forward to speaking with you. Great info especially for us newbie in this industry far from your place. However, any of actions will give us impact too. We met at HempX Asheville! We just released a response to this ruling as well. I remember meeting and talking with you, Conrad! Thanks for reading and commenting. I tried to read your story but the link didn’t work for me. Can you send it to me directly ([email protected])? Fantastic response from a great group. Thanks for sharing, Conrad. Thanks for reading and taking the time to comment on my blog. I do want to note that a number of states have enacted pilot hemp programs pursuant to the 2014 Farm Bill. Among them are my home state of NC, TN, CO, CA, OR, and several others. Great analysis. I’m glad I found your page. I am in the hemp supplement/product business. We actually stopped referring to and promoting our products as or containing “CBD” nearly a year ago after the FDA issued their position statement that “CBD” is considered a pharmaceutical/drug as a result of GW Pharma’s approval for IND status on Sativex and Epidiolex. We felt that if we continued to brand, label and promote our products as containing CBD, we would essentially be saying we sell an “unauthorized pharmaceutical/drug.” That’s not the case. We produce, market and sell a natural herbal supplement. I couldn’t agree more with your statement that the DEA has overstepped their Constitutional Authority, and as such, the Rule is at a minimum unenforceable and at best void. It will be interesting to see how things play out over the coming year. The way I read it is that the rule defines “marijuana extract” as an extract containing one or more cannabinoids derived from any plant of the genus Cannabis. That’s pretty simple to interpret – basically “anything and everything” containing one or more cannabinoids that is derived from Cannabis (whether “Hemp” or “Marijuana”). Does that language not potentially EXCLUDE the “separated resin” from classification as a “marijuana extract” under the Rule? If that’s the case, this Rule may not impact the hemp supplement/product industry at all. I know for us, and probably most other producers in the category, the first thing we do when we receive our hemp (we import) is “separate the resin.” The separated resin is then packaged for retail and used as the hemp derived, nutrient (CBD) rich basis for other products (oils, supplements, topicals). Whether it was their intent or not, doesn’t the use of the language “other than the separated resin” exclude that separated resin from the Rule? And as such, wouldn’t legal, hemp derived products (supplements, edibles, topicals, etc…) that incorporate “separated resin” as an ingredient also be excluded from the Rule? Thank you so much for this breakdown. I sell Organic Kentucky CBD products (which I’ve had to rename “Hemp Drops” because of my website provider – grrrr) and many of my customers and people on my Facebook pages are rather worried. On a bright note, as your article is so easily understandable I refer anyone who is asking me about this “ruling” to your blog. I’ve also posted the link on my Facebook pages, and will refer back to it time and time again. I appreciate what you’re doing in the industry – please look for an email from me as I have some questions that we can talk to offline. I work for an online cannabis business publication and I’m glad to see that the “doom and gloom” scenario that most major media outlets are playing up is indeed unlikely. Thanks for sharing your knowledge — I’m very happy to have found your blog and I will be frequenting back here from now on! Thanks, Graham! We have a fight on our hands but I don’t buy into the doom and gloom, either. This is a way to help rebound their stock. I know companies that would put out press releases to inflate stock. They are trying to rally by the last quarter of the year. The only person to benefit from such scheduling would be them. I live in Colorado and They only care if you are under age. The Denver Police Dept ripped the MMED for constantly changing laws and making it impossible for them to enforce. The Denver Post did a story on it a while back. Outstanding analysis and opinion. I will be visiting your blog on a regular basis going forward. As a grower for 15 years I appreciate that folks like you are now willing to share their insights with those of us the shifting legal/political landscape affects most directly. Compliments to Rod Kight for his analysis of a troubling and confusing action by the DEA – RK not only understands the law but is also well skilled to unravel its complexities and provide a coherent explanation to, we, the concerned – with much gratitude ….. In a word, yes. GW Pharmaceuticals is currently in clinical trials for Epidiolex, a CBD based (solely CBD?) medicine for the treatment of epilepsy. I have not encountered any responses by GW to the DEA rule but would be eager to know its take since the DEA is now contending that its new “drug” is schedule I. Do you feel this ruling could affect regular hemp oil used for cooking? Cold pressed hemp oil does contain trace amounts of CBD, even hemp oil sold by Walmart. In the FDA’s GRAS notice for hemp oil it does affirm that its an extract from the cannabis plant, and that it does contain CBD. Unfortunately, I have read interviews with DEA spokespersons who contend that the new rule covers hemp oil used for cooking. It’s ridiculous. So I give my dog Canna-pet CBD Hemp oil and it helps him dramatically with his pain. He is a tripod with hip and elbow displasia. This has me kinda worried. This has been the best therapy that we have tried. On their website it says they source their hemp from Europe and make the product in the USA. Any thoughts on that? I’m glad to hear that CBD products have helped your dog. I hear that a lot. Prior to the DEA’s release of the new Rule the answer to your question is “yes.” Based on the Hemp Industries cases “non-psychoactive” hemp (and its products, such as fiber and CBD) were legal at both the Federal and State level throughout the USA. According to the DEA rule that will go into effect January 13, 2017, all marijuana extracts that contain cannabinoids are illegal Schedule I substances. The kicker is that the DEA contends that this is just a “clarification” and that marijuana extracts and CBD “remain” illegal. The DEA is wrong but given that the rule is in place and takes effect in less than a month, we are entering a legal grey area until things are sorted out. The best response to your question is that it is accurate, but a little out of date. Has any injunction against this rule been put forward? From your analysis, it seems that would be a necessary move before people start getting railroaded into the legal system over this spurious edict. Dreen- No legal action has yet been taken, but one is being considered. I intend to track its progress on the blog. Hello I’m not sure if you’ve read my previous comment about hemp oil, but I just talked to the DEA and a spokesperson said that yes regular cooking hemp oil(even asked about what they sell in Walmart and yes theirs too) all falls under schedual one, they claim it always has and that the farm bill (<.3% thc) as well as the original exemption for hemp (<.03% thc) is only for hemp that's not used for food, drug, or cosmetic. Interesting… maddening… frustrating…. yes. It’s very interesting, indeed. What ever happen to the saying that “Pharm a’s could not put a patent on a natural product such as the Cannabis’s. Now all they do is synthetically mess with the plant’s natural compounds, like GWP is doing. You have the marijuana establishment, scratching their heads, when they found out that iHemp has medicinal purposes as well as marijuana. So now the Hemp farmers are the culprits for cultivating CBD’s flowers in these Cannabis’s wars across America. Also remember that our US government has a patent on CBD’s, so they can work with big pharm a’s in the future, or should I say ” NOW” this is happening behind closed doors. However you look at it, Our DEA and FDA are clasping for hemp straws, now that over 30 states are cultivating hemp or complicating on cultivation. Also 26 states, cultivating either Medical Marijuana, or Recreational. DEA is attempting to : “Nip It In The Bud, before it goes up in SMOKE. Legislation is always behind Technology, Let the States dictate on this, not the Fed’s. Is all hemp legal under the 2014 farm bill or only hemp grown under a state run research program? Good question. Section 7606 of the 2014 US Farm Bill authorized individual states to enact pilot research programs for hemp. Many states have done so. Hemp is legal within those states. Additionally, based on the 2016 Omnibus Spending Act, no Federal funds can be used to interfere with lawfully cultivated hemp, even in states that have not enacted hemp laws. Thank You, for your help in explaining this insane gov’t move to kill or hurt many American’s.By restricting access to Medical Marijuana and from growing supplies . I live in MI and am an old guy on Soc.Sec. I have many different health problems, major pain being one of them. I have bought the MI gov’t LARA card from the State , under a Doctor’s help (he Gave me the phone number to start the process.) But I am not sure about any of this .I just started this to get relief and maybe some type of cure . This new law screws up everyone. I went to a health food store today ,they pulled the CBD oil off their shelf. The Other store across the street still was selling their CBD oils. This oil seems to really help in certain areas. (A good Night sleep,lowering blood pressure and more.) But,I don’t want and can’t afford to get busted for this. This Gov’t fiat has gotten me and my wife pretty rattled.I am allowed by the State (MI) to grow a few plants But I hear the police are arresting people even with L.A.R.A. cards. This law abusing is really scary and depressing.Not to mention all the pains I have to live with.I don’t want to end up in jail. we’ve been lawful citizen’s our whole life.Now at 67 We have to worry about this insane government,and what they will do to us unhealthy old people. America land of the Free. Appreciate your explanations. I was really surprised by the CBD ruling and Sched I inclusion especially in reviewing the previous court ruling that only THC could be considered as illegal, not other components of hemp extracts. I assume the DEA just chose to ignore that Appeals Court ruling. Would that court case not be the foundation to fight this rule? Thanks for your comment, Jon. It is my opinion that the DEA overstepped its authority and that the Hemp Industries cases (the previous court ruling you referred to) do, in fact, provide a basis for challenging this rule. I will say that the DEA contends that nothing has changed and that the rule was meant to be an administrative (as opposed to substantive) clarification of existing law. Taken at its word, this means that the sources of CBD which are presently legal (ie, CBD sourced from mature hemp stalk, CBD lawfully sourced from a hemp plant under a state’s hemp laws, or CBD sourced from non-psychoactive hemp from abroad) are unaffected by the Rule. Unfortunately, the DEA contends that CBD has “always been schedule I”, which arguably begs for a court to clarify the DEA’s supposed “clarification.” More to come on that front, so stay tuned…. Hi: Rod I make CBD products and the new law was to make the DEA in compliance with the Non-proliferation of psychotropic drugs treaty with the U.N.
Great blog, Rod! I’ve spent the past couple of days reading a number of your articles and wanted to commend you on the tone and tenor, as well as the information you are providing. Can there be pressure put on the DEA for medical studies to be allowed on both cannabis plants that utilize THC and CBD? With 3rd party oversight? That seems to be their logic in keeping it all classified as a Scedule1 drug. And how about pointing out the financial benefits to the DEA versus farmers, taxes etc? Joan- Thank you for reading and comments on my blog. Yes, there can be pressure put on the DEA. Fortunately, we have a lot of good groups applying such pressure right now. I’d encourage you to start by supporting these groups: NORML, Hemp Industries Association, National Cannabis Industry Association, and Women Grow are all working hard to steer our government in the right direction. They could all use your support. Has there been any CBD related arrests yet that have led to a challenge of this DEA overreach? Our company works with cancer patients and we don’t shy away from labeling our products as CBD. We got involved when my wife was diagnosed with stage 4 ovarian cancer. We got her started on 400mg daily dose of active CBD and after 7 months she has no detectable cancer. We were paying 16 cents per active milligram and now provide a much better quality, higher concentration CBD for 6 cents. We are proud to be involved in this life saving industry. I haven’t posted about this most recent move because I’ve been out of the country. However, I’m working on one and hope to have it up within the next few days. It’s typical (and unsurprising) overreach. Thanks for reading! I agree! In this blog post I encouraged people who have knowledge of, and experience with, CBD to post their comments. Well, if CBD is legal then you all have a much bigger problem on your hands. To a chemist, it’s obvious that people will just synthesize CBD, far cheaper and easier than trying to extract and purify from hemp. Consider also that it won’t be long before synthesized THC becomes available. No doubt people in China and India are making it right now. I can tell you that when the pharmaceutical industry needs cannabinoids they make it, they don’t waste time trying to isolate it from plant materials. Thanks, Steve. I appreciate your insights.